Summer heat can make baby carring even hotter, its best to have a lightweight sling that is made from a non absorbent material. Breathable mesh fabric keeps air circulating between you and baby. Keep both of you cool is essential. 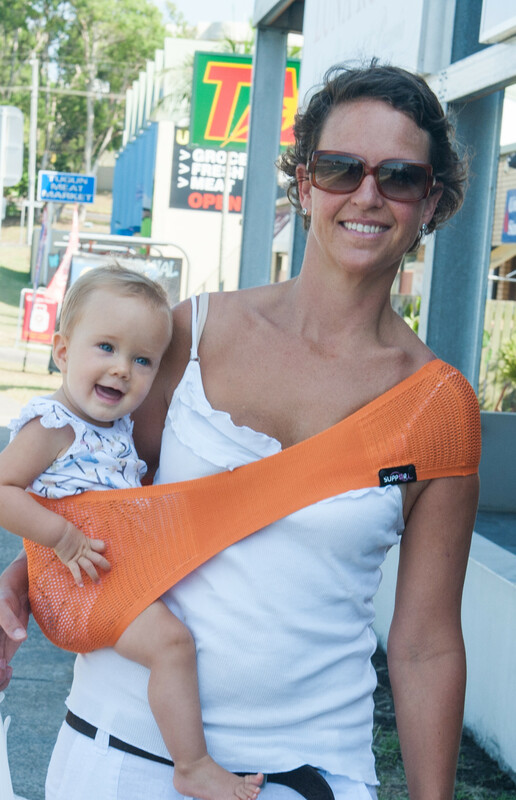 Suppori baby sling is made from triple stitch mesh fabric, lightweight and small. As the fabric doesnt absorb water it can be used in the Pool and sea. What fun!